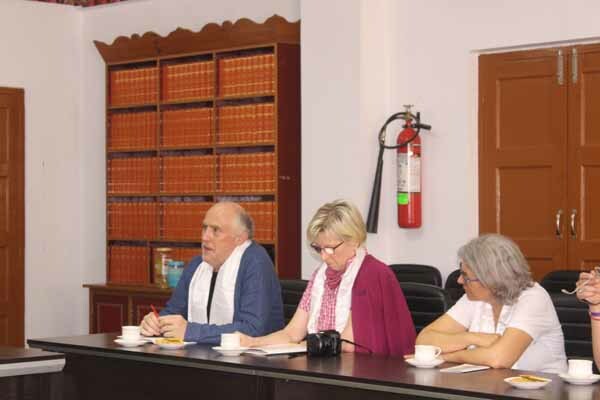 Dharamsala: A group of 14 Tibet supporters from Germany visited Tibetan Parliament-in-Exile on 3 April 2019 at 3:00 pm. Speaker Pema Jungney and Deputy Speaker Acharya Yeshi Phuntsok of Tibetan Parliament-in-Exile received them at the standing committee’s meeting hall and briefed about Tibetan Parliament-in-Exile, its composition, election procedures, Parliamentary sessions, historical background and evolution of Tibetan Democratic Polity. 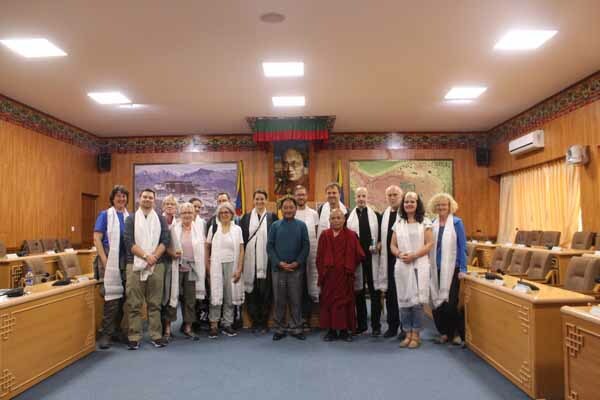 The guests also introduced themselves and asked various questions, the Speaker and Deputy Speaker clarified each of their doubts regarding self-immolations in Tibet, unique identity of Tibetans, Tibetan struggle, the election in Tibetan community, Middle Way Approach, Offices of Tibet and its function, etc. 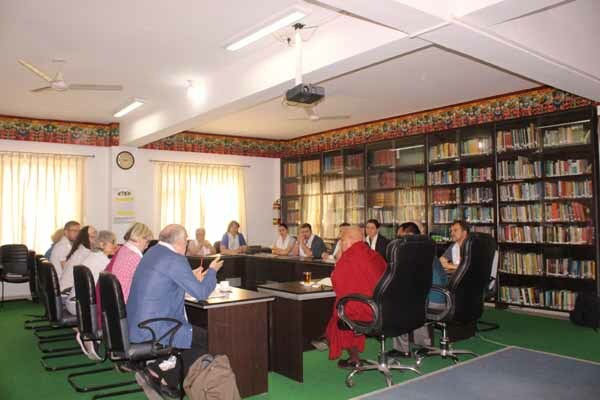 Deputy Speaker Acharya Yeshi Phuntsok also spoke about workshops on strengthening of democracy at grass root level organized by Tibetan Parliament-in-Exile for the Local Tibetan Assemblies, visitation of Tibetan Parliamentarians to Tibetan communities, Tibet supporters and Tibet conventions held in Germany, etc. Speaker and Deputy Speaker thanked them for their support and urged them to appeal their Members of Parliament to support Tibet issue.